Similar to the insanely popular trend in 1990’s US pop culture, Asian teenagers and twenty-somethings are getting meaningless English phrases tattooed on their persons without having the slightest idea of their meanings. At one time Americans were fascinated with tattooing Asian symbols on their bodies claiming they meant things like “strength” or “knowledge” or “dignity”. 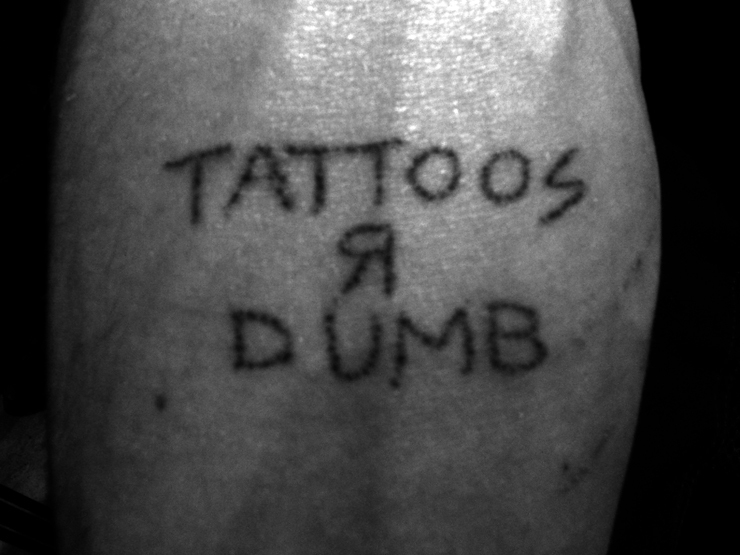 When in reality, according to Asian-American tattoo artist Akio Chén, they mean things such as “dumpster” or “gringo” or “can you pass the salt?”. The art of deception is closely tied with this tacky ink phenomenon and has left many people with permanent reminders of why you don’t get drunk in Chinatown with your buddies, it always leads to tattoos. 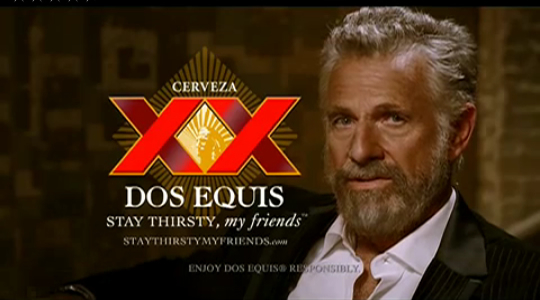 Chén says that he slapped hundreds of these on within a 10 year period. “Every person that walked through my door asking for an Asian symbol, I would immediately Google something different and give them the most absurd embarrassing one I could find.” Artists in Asia are finding the same enjoyment of deceiving their customers. This makes the transatlantic journey for some Asian tourists very awkward. One woman was booed and had empty Starbucks cups thrown at her when she showed up with “Great Knockers” tattooed across her forearm late last September. Others have been claimed as casualties to these insensitive tattoo artists but with tattoos that are too racy for our dignified readers. It’s this journalist’s hopes that this trend will die hard like that of the “meaningful symbols” of the 90’s but that would be a little too 火风水 (meaning one who is optimistic). This is Kelly Gordon the day she got her BMW (pre-pink paint job). Instead of trying to start the car she should have read the manual but who are we to judge. Every girl who has ever said “I’m blonde and I’m not dumb” were proved wrong today when UCSB Sophomore Kelly Gordon crashed her pink 2011 BMW M3 into an Oak tree late Sunday night. When police arrived at the scene, Gordon was found still behind the wheel with a baffled look on her face. When asked what happened, Gordon replied, “I thought that cruise control steered for you too! I guess I was wrong #fml.” The officer on the scene was not only baffled by the use of a “hash tag” in normal conversation but also that the state of California issued this girl a driver’s license. This is the latest in a multitude of crashes involving blondes, sports cars and cruise control. According to leading scientific research, the word “cruise” triggers something in some women’s brain that implies that their driving duties have magically been taken care of and their $50,000 car has transformed into a ride at Disneyland. BMW could not be reached for a full statement on this series of horrendous events, but did say that they are adding another warning label to their newer models cautioning drivers to keep at least one hand on the wheel at ALL times. Gordon was taken to the hospital for a routine check up but was released an hour later with only a broken nail and dented ego. The court immediately suspended Gordon’s license until her court appearance which has yet to be set. When asked about her chances of getting her license back Gordon seemed optimistic. “It was an honest mistake really. The Kardashians don’t use their hands to drive why should I? !” Just to clear the air, the Kardashians, not unlike most celebrities, have personal drivers therefore their hands are never on the steering wheel. 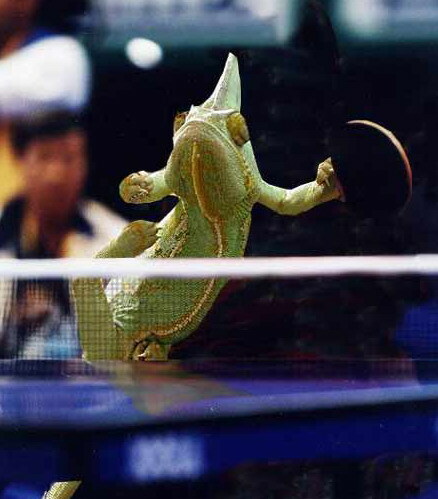 The underground Ping Pong world was left aghast this week as a 6 year old chameleon aptly named Rimshot beat Wang Hao, 2009 World Champion in a five game set. The match was an absolute shock to all of those in attendance (especially Hao) except for Rimshot’s owner/master/manager Steve Bersniack, a former ping pong player himself. “Rimshot is the best chameleon I’ve ever trained with. When I found him, he was wandering the streets of San Francisco with a paddle strapped to his back. What happened after that is, as they say, chameleon history.” Although it goes against every conventional notion humans have as far as athleticism among animals, Hao was not the first unsuspecting victim of this blazing fast chameleon. Rimshot and Bersniack have been bouncing around the underground ping pong clubs of the bay area since early 2008, resulting in Rimshot’s 123-9 record. His astonishingly lopsided record is partially due to his unique ability to blend in with the wall or table during a serve, leaving his opponent purely screwed. The owner of “The Backhand”, San Fran’s hottest underground ping pong club and opium den, Guo Yuehua said “Rimshot is an absolute crowd favorite. Other players come up and complain about his ‘competitive advantage’ and are calling for a rule change. After slapping them and condemning them for bringing shame on their families, I remind them this doubles as an opium den. There are no f*%king rules.” When asked for his take on his so called “competitive advantage” Rimshot had no reply; which I accounted to the fact he is a chameleon and not bad sportsmanship. To clear the air and keep you from confusion, Ping Pong is still a very boring sport reserved mostly for high school students during PE classes, uneventful Saturday nights and mid-day time programming on ESPN2. Posted: August 1, 2011 in Racial Stereotypes? During The Cucumber Periodical’s company retreat to the lovely barren and flat state of Kansas, I stumbled upon the area’s largest and most lavish entertainment event, the Barton County Fair. This is where I met Fran Longbottom, a long time carnival worker or “carnie”. Having never had a full conversation with one of these skilled craftsmen, I decided to sit down with Ms. Longbottom and step into the life of a carnie. “There’s more to the life of a carnival technician (the preferred verbiage for this special brand of human) than most people think. It’s not all eating corndogs, cotton candy, pushing “start” buttons and scaring little kids; there’s some serious skills involved” said Longbottom, “Do you know how hard it is to convince people into spending $15 on sideshows that they will NEVER win?! 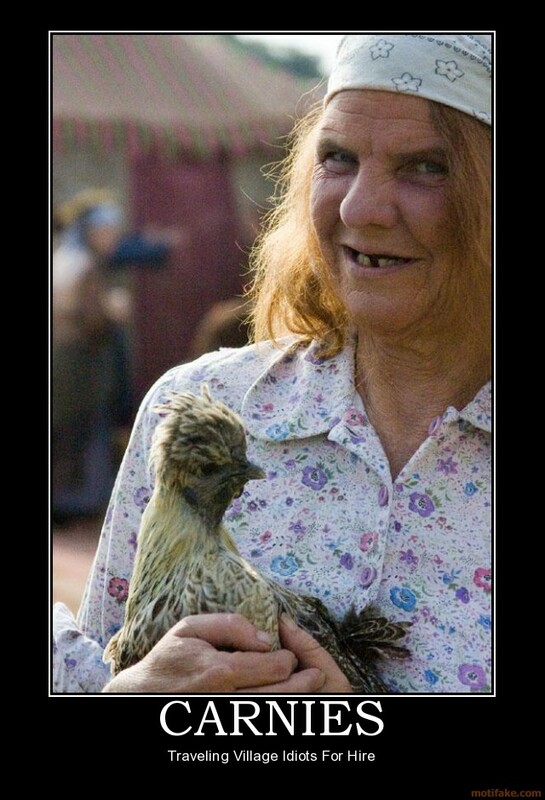 Pretty d*#n hard!.” Longbottom has been practicing “carnival engineering” since she left the traveling circus in 1979 after she was accused of pawning Bobo the elephant’s collar in order to support her 13 children. Longbottom continued to tell me that she was leading a movement of other carnies to unionize to attempt to regain some of their legitimacy. “There used to be a carnival technician union and it we were a respected group of workers. However, when Jim-Bob Shrew took over the union and got rid of the “Tooth Requirement Clause” in the union contract, everything fell apart.” Although I felt for Ms. Longbottom’s plight, I could not shake the notion that regardless of a union, a full set of the finest dentures money can buy and a mandatory shower requirement, carnie’s will always scare carnival goers. On a related note, Jonathon Cooper and Blake Coldwater brought home silver and gold respectively in the hot dog eating competition as other contributing reporters took other awards home including winning a karaoke competition and a Miller High Life shot gunning competition. We’re all very proud.